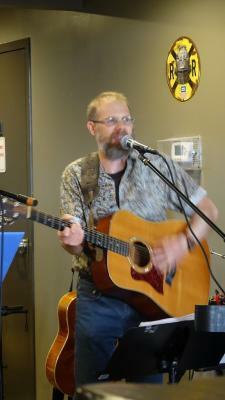 Top Rail uses their unique "Eclectic Approach" to perform American Roots Music including: Bluegrass, Country, Classic Rock, popular tunes and more! 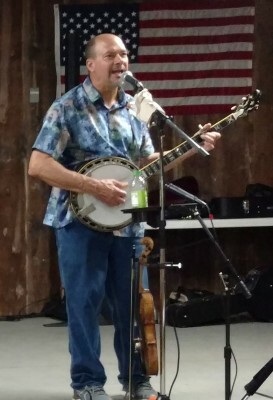 Since 2003, Top Rail has provided a mix of traditional and contemporary Bluegrass music to fans at county fairs, city home days, Bluegrass jams and other musical venues in north, west and central Ohio. In addition to time honored classics, the band has advanced their song selections by adding popular non-Bluegrass tunes, including country, classic rock and more. All the songs come with the band’s unique original spin. You'll hear the awesome instrumentation of banjo, fiddle, mandolin, dobro, and upright bass, along with tenor and acoustic guitars. On occasion, you may even hear some harmonica and saxophone to further diverse the band’s overall sound. Top Rail features song writer Keith Parker on guitar and harmonica; Jeff Gell on banjo, fiddle, and Saxophone; Eric Miller on dobro and guitar; Jim Gornall, on the upright bass, and our newest member Mitch Tabol on mandolin. Jim Gornall: By day, Jim is an aerospace electrical engineer. By night, this space cowboy hammers out a traditional bluegrass thump on his well-worn upright bass. Jim’s love of music began in the 70’s when he performed in the rock band Windfall. It was a family affair as his dad managed the group and his grandfather drove them to gigs. Practices were held in his grandparents’ pole barn and neighbors used to call the cops because the music was cranked so loud! 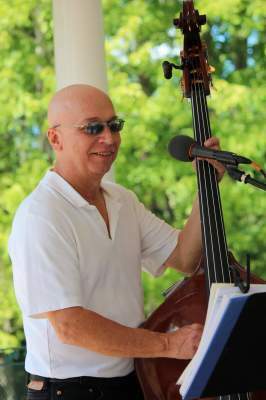 Jim is glad to be back on the music scene today, though he has traded his rock 'n roll hair and guitar for the upright bass. He has a powerful baritone vocal that is well suited for lead vocals. Jim lives in the country now where he can crank the bluegrass music up loud without any neighbor complaints. Eric Miller: Eric was born into a family of roving gypsies, well not really, but he was raised on cabbage and noodles, dumplings, and the Beatles. 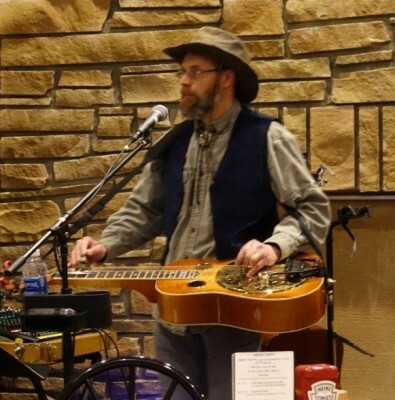 Way back in college, he learned Dobro and guitar from a yodeling stage coach driver from Aspen with an engineering degree and no indoor plumbing. Eric’s only regret from his college days is skipping a Tony Rice concert to study for an ill-fated atomic physics final (E=mc2). This is his second stint with Top Rail, having played with TR back when the century was new in an earlier version of the band. He's glad to be back hanging out and making music with the boys. Jeff Gell: Starting with clarinet and saxophone, then on to rock 'n roll and bluegrass, Jeff has been musically inclined since the 5th grade. He has played music from all genres—classical, marching band, big band, Top 40, and more. Jeff started out in bluegrass by going to jams and trying to play along on his banjo. We think it worked out beautifully! With influences from his earlier days as an area rock 'n roll bassist, Jeff’s banjo playing gives the group its hard-driven sound. 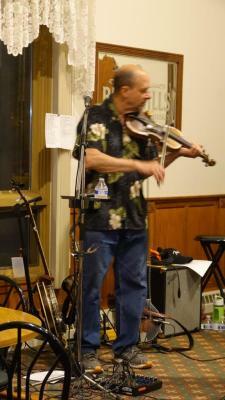 Jeff also plays mandolin and fiddle with the group. His wide vocal range adds depth and variety to the group’s harmonies. 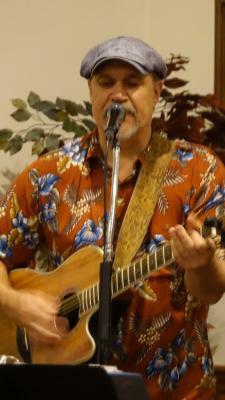 Mitch Tabol - Mitch is the newest member of the Top Rail band. 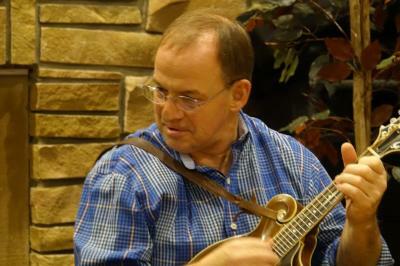 His outstanding mandolin playing is just what the band needed to round out our overall sound. 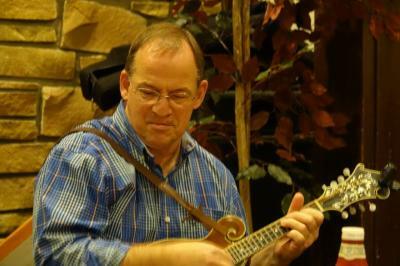 There is no doubt Mitch is a real player and when he takes a mandolin break he can really bring it! 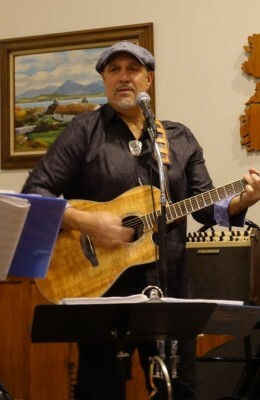 A true professional and season musician with many years of experience on both guitar and mandolin. Top Rail is happy to have him as a band mate.